If you were to flesh out the cohort of the next generation of tennis, the first few picks would be easy: Nick Kyrgios and Alexander Zverev are the sure shots; Dominic Thiem and Lucas Pouille are a little older but have got to be in the mix; and from the U.S. there’s Jack Sock and hopefully Frances Tiafoe, too. But 21-year-old, 5-foot-7 Yoshihito Nishioka was my flier pick. 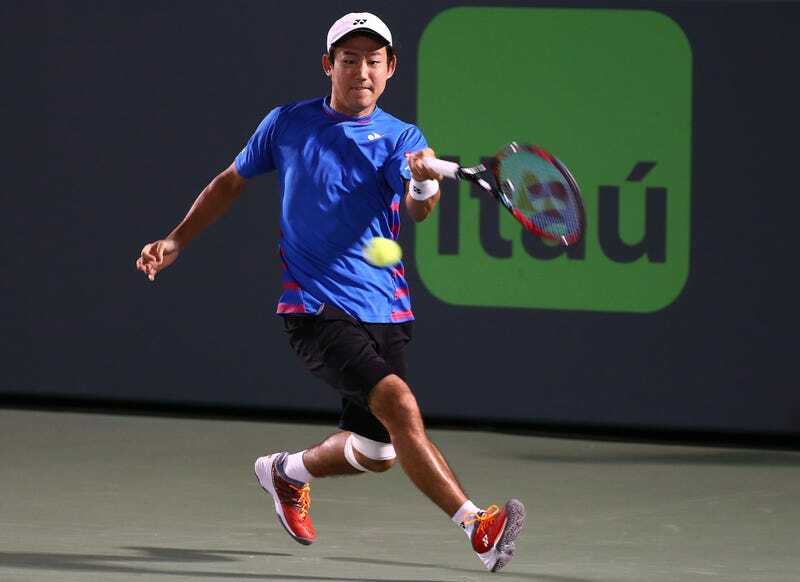 Then, in the second round of the Miami Open, Nishioka took on No. 17 Jack Sock and went up a break in the first set to lead 4-2, before retiring with an apparently excruciating left knee injury. Rehabilitation will take time: Nishioka would be lucky to return to tournament play before the end of the calendar year. It will slow, but hopefully not extinguish, this surge from a young player who looked capable of diversifying the top tier of men’s tennis, in both stature and nationality.